Formerly known as The Shades Of Blonde, who put out one 45, All Your Love, they formed in Calgary, Alberta, in 1966. Line-up 'A' signed with Gaiety Records, an intriguing operation run by Don Grashey out of Hollywood, California and Thunder Bay, Ontario. Their first two 45s, which came out on RCA, are now sought-after. Both prime examples of Prairie garage-punk, they were minor hits in Canada. The follow-up, Blue Bonnie Blue, did little to advance their course, but the guy who wrote the song for them and the women he'd written it about later made the big time as Delaney and Bonnie! Around the same time, Dave Petch left the band and Dave Downey came in for Mick Woodhouse on bass. A second, previously unreleased, Delaney song, co-written by Bonnie and bassist Carl Radle, Up To No Good later figured as a bonus track on a CD reissue of their album. With success on the horizon they moved to Hollywood to record the album which has some strong songs and good guitar work. It's a diverse effort with soul, country, garage, rock and psychedelic influences. Close The Barn Door is the most immediate track but Twilight Woman is a very pleasant song, which just made the Canadian Top 50. Its success had lead to the recording of the album. The follow-up to Twilight Woman, another slice of melodic mild-psychedelia Now That I'm A Man, became their biggest hit. It climbed to No. 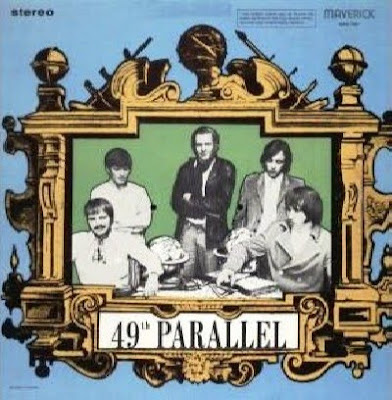 30 on 27th September 1969 and spent three weeks in the Top 40. After this, vocalist Denny Abbott was replaced by Dorian Beattie. Line-up "D" got as far as recording half an album with Grashey in Thunder Bay but only two cuts from these sessions, I Need You and Goodtime Baby ever emerged on a 1970 45. By the end of the year the group had evolved into Painter. By that time, Jack Velker had joined the prolific, L.A.-based, extended Mama Lion crew.